You may at any time change or withdraw your consent from the Cookie Statement on our website. Your consent applies to the following domains: http://bromoelle-kro.dk. is-logged-in – WordPress cookie for logged in user. wordpress_4d9549f0ff687afe98c2f0b6c6db8871 – WP session cookie for registered users. wordpress_logged_in_4d9549f0ff687afe98c2f0b6c6db8871 – WP session cookie for registered users. wp-settings-time-9 – WP session cookie for registered users. The site uses the Wordfence security program to protect against possible hacker attacks, collecting IP addresses and cookies from visitors. You are entitled to know what personal information we are processing about you. You may also object to the use of information at any time. You may also revoke your consent to processing information about you. If the information processed about you is incorrect, you are entitled to correct or delete. 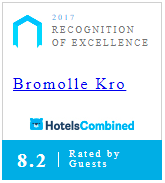 Please contact: mail@bromoelle-kro.dk. If you would like to complain about our processing of your personal information, you also have the opportunity to contact the Data Inspectorate.